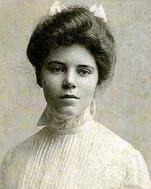 The Equal Rights Amendment, as authored by Alice Paul, shall stand first, foremost, and above all other items which may appear on the platform of this Federation until equal, legal rights for women and men become guaranteed in the United States Constitution, because all statutory law derives there from. Watch our Business and Professional Women Day On The Hill Event. 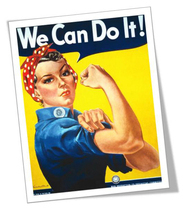 Our organization is working hard to pass laws for women. Ensure pay equity, equal educational and economic opportunities at all stages of life; and promote affordable, quality dependent care to help ensure economic self-sufficiency for women. Ensure reproductive choice and full access to all reproductive health services and education; ensure funds for research into and protections for women’s health care needs; and encourage the development of a national health care plan recognizing the special health care needs of women. Ensure equal rights and remedies for women in all phases of their lives; support affirmative action; eliminate sexual harassment and violence against women. The organization supports issues of importance, which promote the goals, objectives, and mission statement of the Business and Professional Women of Tennessee, Inc. (BPW/TN). The placement of the Platform items in no way indicates importance or priority of one item above another. The placement of the Platform items in no way indicates importance or priority of one item above another.